This small ball is 9 inches in diameter and has a soft easy-grip texture. 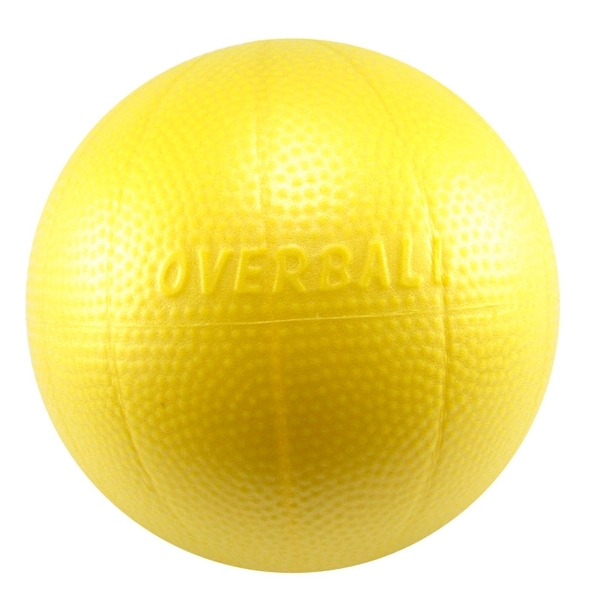 The Soft Gym Overball can be used to prompt correct body position and muscle activation while doing exercises. Great tool for Pilates, pelvic core exercises, resistance training, shoulder stabilization or other workout routines including those with the inflatable roller. Includes straw for easy inflation. Assorted colors. 200 lb weight limit. My clients love the Overball so much that I have to keep resupplying because they take them home! Great ball for adding assistance and challenge to Pilates exercises. Just ordered another one! good for pelvic and core strength.nice little props for group class. This is a great prop to help gain strength and control of the core. 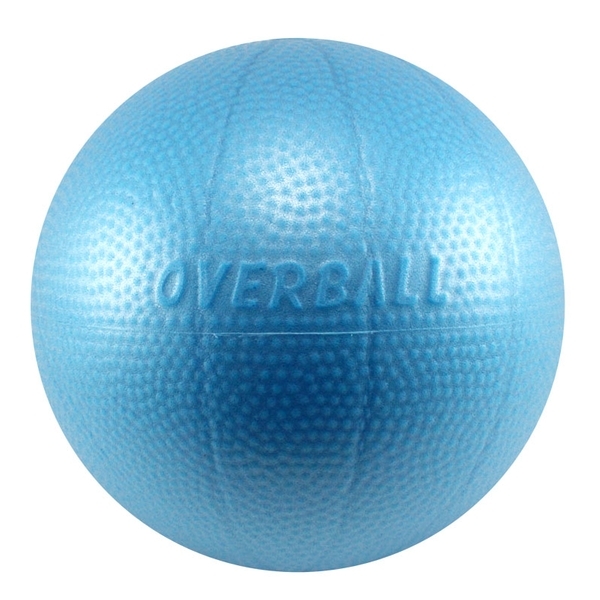 As a Pilates Trainer, the Overball Ball is a staple in my studio. I use it is a prop in most mat work exercises. My favorite exercise is doing Roll backs with the ball inserted behind the lumbar spine and SI joint. This replicates the Small Chair (spine corrector). Most of my clients get their own Overball for at home use! It&apos;s brilliant! 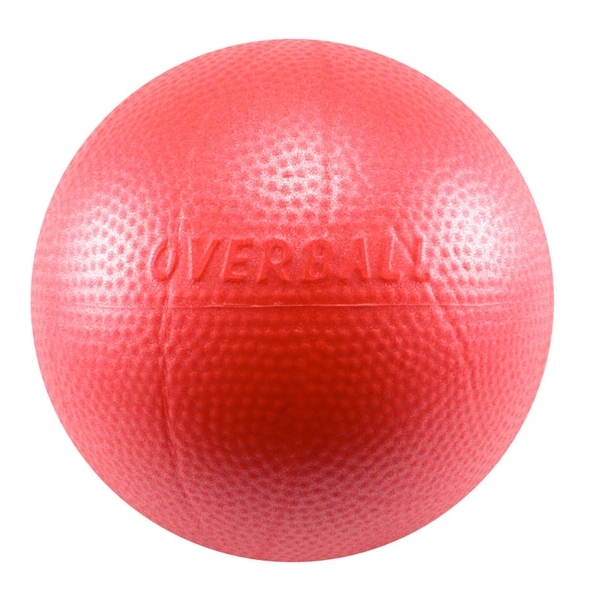 My yoga students love the Overball so much that they keep buying the ones I use in class. my Pilates students love this ball! I have been using these for a while now. I use them sometimes in my mat classes for Pilates and also with my private clients. They add a whole new dimension to the mat work and they give some of my clients a new sense of feedback in finding and firing new muscles as well as releasing others. I buy in bulk and end up giving them out to clients to take home or to travel with. Always a tool in my studio and I take one with me wherever I go! We use these mostly for Senior Chair Exercise in a classroom settings. 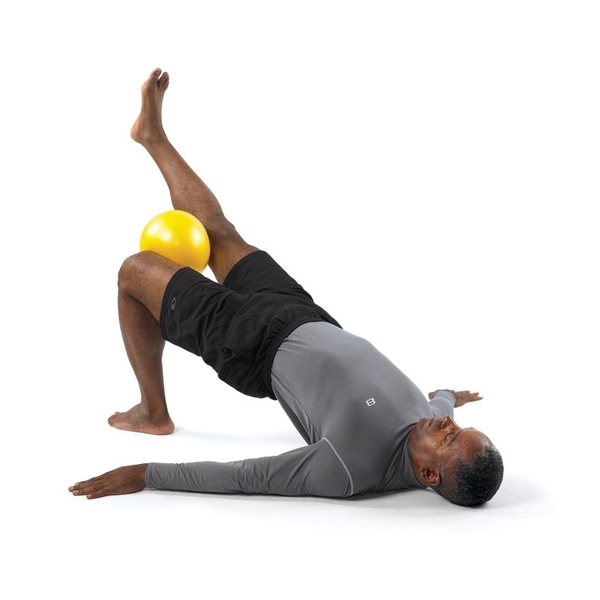 Overballs are a wonderful visual tool for ROM exercise. A favorite of our Older Adults for both class use and during Personal Training. Very user frendily. I do appreciate that the the new brochure offers a wider range of exercise examples than the previous brochure. It would be helpful to also have some chair exercises demonstrated in the brochure. These are great, nice texture and feel. I wish I could choose which colors I received, though, so that they match the colors of my studio.